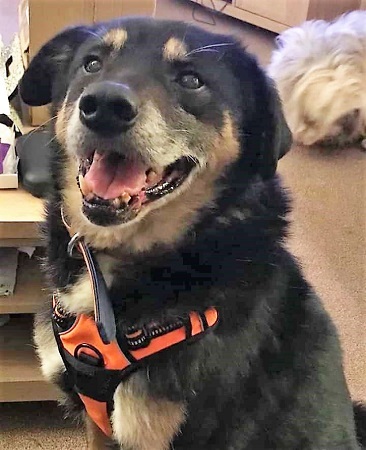 Described by his foster Mum as an elderly gentleman with a cheeky grin and a heart of gold, this is a lovely chap called Rudi. 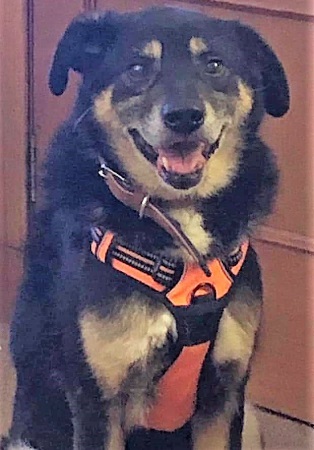 Saved from years in a shelter by Pawprints to Freedom, where all he had was a few planks of wood to keep him off the ice cold concrete floor and some pointless whisps of straw to try and snuggle into, he’s now so happy to be in a cosy foster home in Fife, Scotland. Rudi is 10 years old and is medium sized. He hasn’t been in foster long, but already he has made a good impression. Although he had been in a shelter for a long time, it hasn’t stopped him loving people. He adores cuddles and likes having his face and paws rubbed. Rudi’s foster Mum is working on his toilet training; he is making good progress and is asking to go out. He is getting on well with the resident dogs of the house despite them sometimes testing his patience. Rudi really likes his food and is currently being fed separately from the other dogs. He is good on his lead and he is doing really well with his recall (when a treat is the reward). Rudi is a treasure, a complete pleasure, to be around. He will make a new home a very happy place. One word of warning though from his foster Mum … he has a tail like a windmill, so anything in its happy path may be at risk of blowing away! Rudi is neutered and has no known medical issues. 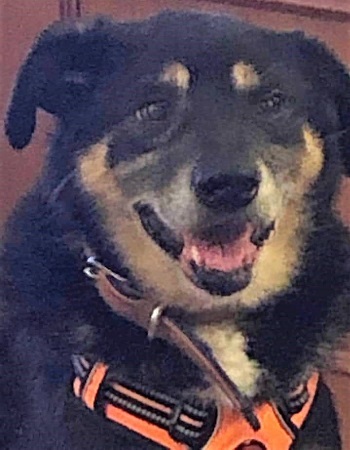 Please mention you saw Rudi on the Oldies Club website.